Cream: Beat the mascarpone and the sugar together. Add the whipped cream and the vanilla extract. Mix until smooth. Filling and topping: Quickly dip the pavesini cookies in the milk. Line a 9-by-5-inch (22-by-12-cm) domed bowl with plastic wrap. Line the bowl with a layer of pavesini. Then alternate layers of cream, slices of strawberries, and pavesini until the bowl is completely lined. Cover the top with a layer of pavesini to make it even. Cover with plastic wrap and put in the fridge for half a day. Remove the plastic wrap from the top and invert the zuccotto onto a tray. 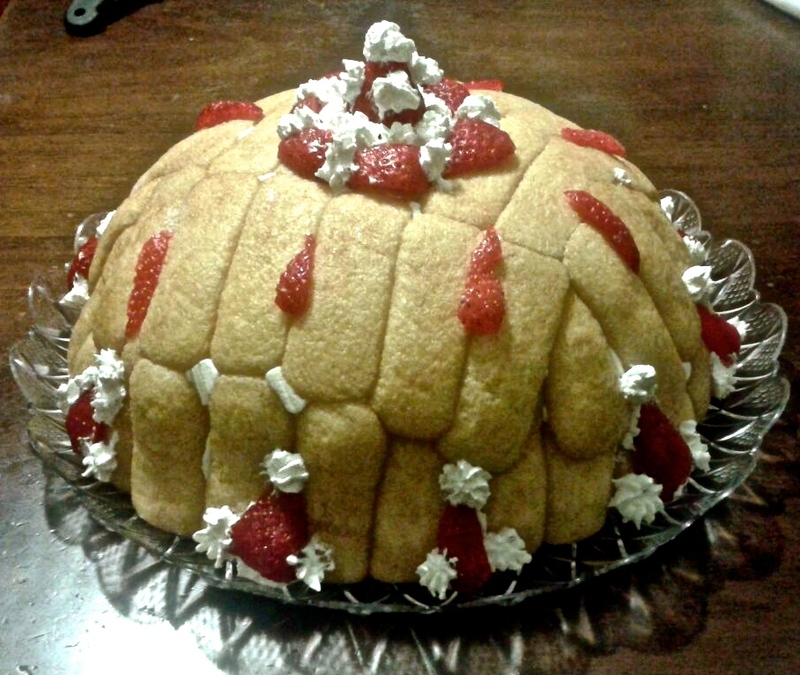 Remove the remaining plastic wrap and decorate the zuccotto with strawberries and whipped cream. Finally, enjoy the dessert!